I did not do it first. 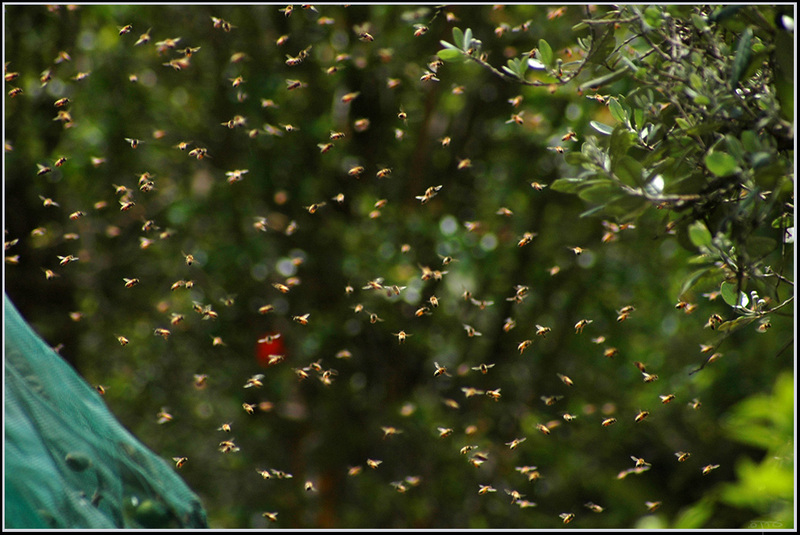 To some of my entomology friends the title of this blog may not seem particularly original. That is probably because they are familiar with the book “Insects Did It First” by Roger D. Akre, Gregory S. Paulson and E. Paul Catts (1992). I had my heart set on this blog title (with the subtitle “Can Engineers Do It Better?”) before I was aware of the book. All three authors were entomologists and associated with Washington State University (Dr. Paulson now teaches at Schippenburg University of Pennsylvania). The book “Insects Did It First” is a collection of ideas, started in 1964 by Akre, that linked an “advanced” human technology to insects. The book is a perfect example of how to get the general public to become more interested in the natural history of insects. The book is even more endearing because of the wonderful, often humorous, drawings by Catts. Typically whimsical drawing by E. Paul Catts from “Insects Did It First”. – picture featured on Gregory Paulson’s website (click drawing). 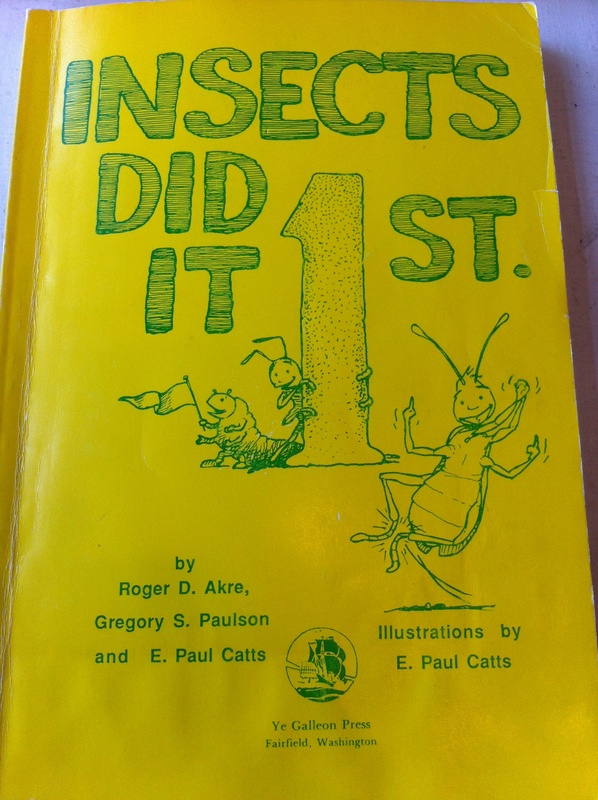 All 81 short “chapters” of the book cover an achievement in which insects were far ahead of humans. Some examples are obvious and famous (e.g. insects as builders of energy efficient structures), other are less well known to non-entomologists (e.g. preserving and storing food without freezing). In some ways this blog is similar to the Akre, Paulson and Catts book – but using a media that may be more accessible to more people. Just like the author-trio my ultimate goal is to promote insects as inspirational to those outside of entomology. I hope to especially reach engineers, designers and entrepreneurs. I may cover some of the same topics, but since the book was last published in 1992 (Dr. Akre passed away in 1994 and Dr. Catts in 1996) I will be able to give more updated information. The blog will also be different in that I want to go beyond natural history and delve a little bit deeper into the topics of technology and innovation. 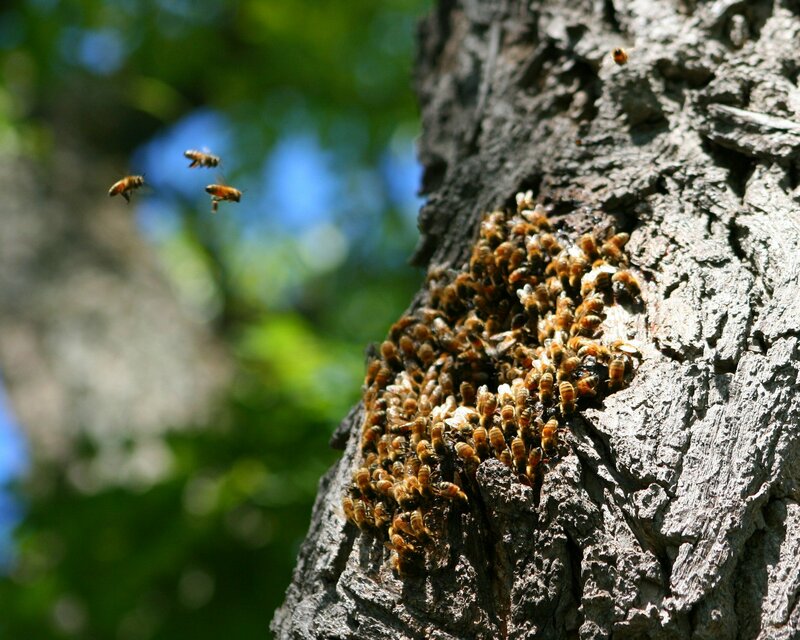 In addition, there are characteristics of insects bodies, their behaviors, the ecosystems they live in, etc. that I think have not yet been considered in depth by engineers. I will promote those topics too. For instance, the Akre book does not cover the springing mechanism of Collembola which I covered in my previous post (maybe because Collembola are not insects?). Ultimately I hope that my blog will be thought of as fondly as the Akre book. See Dr. Paulson’s website for some sample chapters and drawings. And then get your copy of the book at Amazon. The book is out of print now but there are still some used copies available. Jump! Go Ahead, Jump, Little Springtail. And here it is. Behold the best blog-banner ever – created by Nils Cordes*! Of course, the premiere of such a great banner also requires a blog post that explains it. So let me try. 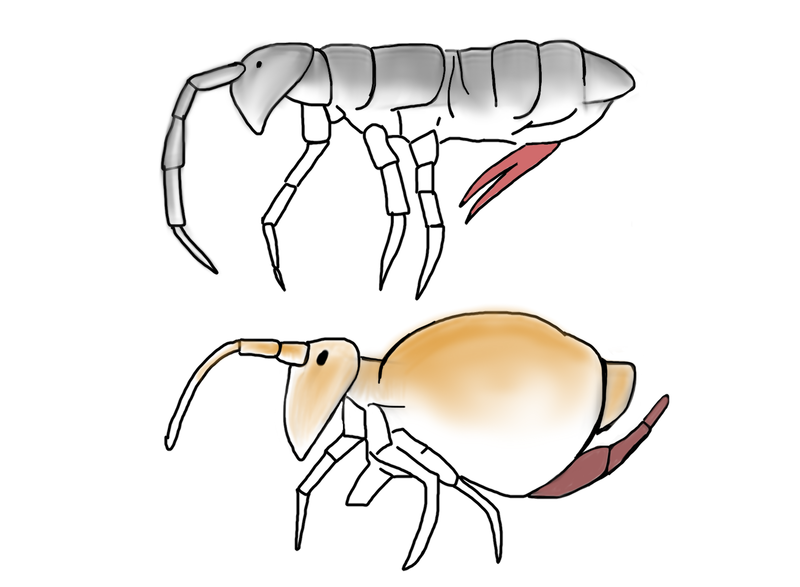 The animal featured in this blog’s banner is a springtail from the hexapod lineage Collembola. Collembola are not insects but entomologists are an inclusive bunch so we gladly incorporate spiders and entognathous creatures into our studies and teachings. Springtails are very likely the most abundant arthropods on earth. They occur in the soil (different species at different depths), in leaf litter, moss, under logs, etc. One of the most distinguishing features, if you can consider anything on an animal that is only 0.12 to 17 mm long distinguishing, is the forked furca at the posterior end of the animal. The furca is present in a lot of species, but not all. Those that live deeper in the soil usually lack the structure because they do not need it since its main function is for jumping. Collembola species can have varying body shapes, but generally there are those with elongated bodies and those with more globular bodies. Collembola can walk, run and climb, but the locomotory specialty that they are best known for (and which seems to be rather ancestral) is jumping. Collembola can jump multiple times in a row, those with globular bodies and more advanced tracheal systems more often (1). In general, springtails tire easily so that jumping is usually only used as an escape mechanism. The jump can take the animal in any direction. Since the furca is located at the extremity of the body, directly beneath the center of gravity, the dynamics of the jump cause the body to rotate head over end. Some Collembola species can jump very high, others take a shallower trajectory but land far away from point of takeoff. This jumping escape response is quite successful but it does require modifications of the entire body plan. The cuticle, the (hydrostatic) endoskeleton, tendons, and muscles all work together to manipulate the body in such a way that the propulsion is optimal. How exactly this happens is not very well understood, yet this system holds inspirational lessons for passively compliant locomotory structures. 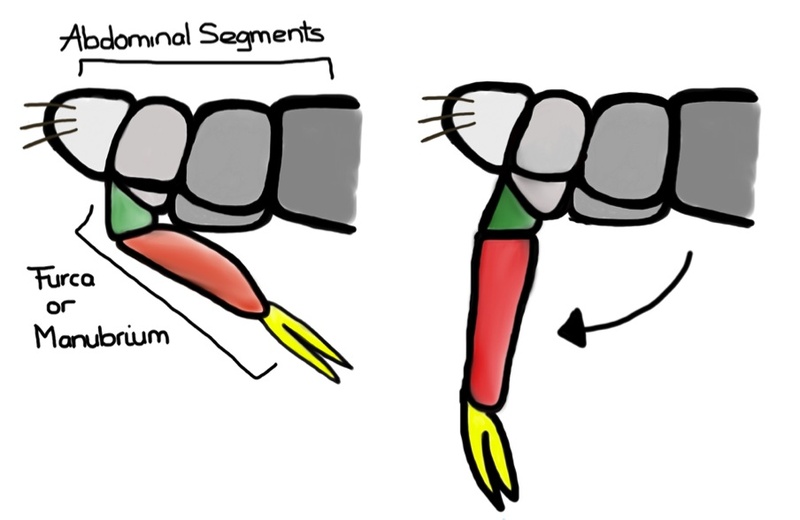 At rest the furca is held within a ventral groove of the abdomen. At the time of the jump the furca moves from this resting (retracted) position to the extended position. Based on morphological and kinematic observations (there is no direct experimental evidence) it appears that as the furca moves it compresses a “spring”. After it passes a critical point of extension the spring releases all the energy, which in turn causes the springing organ to snap out at high speed. If this happens as the springing organ hits a substrate a force is created that propels the animal upward. What exactly comprises this “spring” is not clear. Earliest experiments done by Manton (2) in the early 1970s concluded that to evert the springing organ the body’s hydraulics (pressure on the fluid that makes up most of inside of the body = hemocoel) was important. However, later in the 1970s, Christian (3) concluded that direct muscle action, and not necessarily hydraulics, was the main force inducer. In the 1990s, when high-speed photography had advanced greatly, Brackenbury and Hunt (4) concluded from their experiments that hydraulic forces created by pressurizing the hemocoel increases tension on abdominal sclerites (the exoskeletal plates) that results in a click mechanism that propels the animal into the air. All these studies do agree that elastic elements within the base of the springing organ and within the exoskeleton, as well as the body as whole, are important too. To what extent is not known. Imagine a beam or a chopstick that’s flexible transversally but somewhat stiff longitudinally. If you compress it, it doesn’t change…up to a point. Then it ‘snaps’ out and buckles. You get a rapid displacement as all the strain energy is released. The exoskeleton of the springtail does a similar thing. It stores the strain energy and then goes through a snap-through buckling phenomenon to produce large strain motion which is then amplified by the tail and presto…springtail in motion. Many insects, and other animals, use musculoskeletal springs that are incorporated into the complete body plan. These springs help achieve a high rate of acceleration, or a further jumping distance, and help save metabolic energy. Based on these findings compliant structures and materials have been incorporated into bioinspired legged robots (5). Compliant legged robots achieve a few important things: increased energy efficiency, increased speed, ability to avoid obstacles (in case of jumping robots), and the ability to use more simplified controls to enable enhanced gait control and shock absorption. Springs in bioinspired robots have used elements such as airsprings (e.g. compressed air) and compliant materials, but improvement is still possible. Airsprings, for instance, are not very efficient because they end up converting much of the energy they store into heat. In addition, some of the compliant materials are better than others. Rubbery materials, like elastomers, tend to have a fair bit of viscosity in them and so some (maybe lots) of the energy that it stores is lost to heat as well. For high efficiency, most robotic-type systems currently use mechanical springs (i.e. metals). 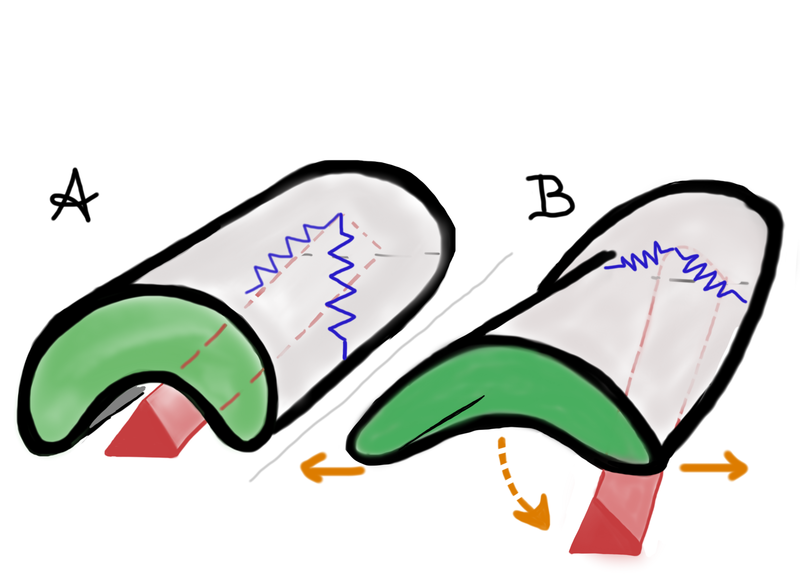 Bioinspired robots also incorporate series elastic actuators that have linear springs intentionally placed in series between the motor and actuator output, which results in the actuator being bulky. The variety of jumping mechanisms among insects is great (think: click beetle, flea, grasshoppers, treehoppers, etc.). The intriguing aspect of the jumping mechanism in springtails is that it operates so efficiently at a very small scale, much smaller than any bioinspired robot that has been developed. In the future we will be able to manufacture almost microscopic devices incorporating different characteristics into small structures using “springs” and compliant materials. Maybe we can incorporate locomotory mechanisms that propel the object, using very little energy. Inspiration for what materials to use and how to construct the object can be found through further study of the springtail’s click mechanism. Somewhat surprisingly not much research has been published on this system since the 1990s. Yet with help from today’s high-speed cameras and microscopy techniques we should be better able to understand how the springtail propels itself. Advanced computer aided engineering (CAE) tools, like finite element analysis (FEA), could be used to augment the visual data and elicit some fundamental internal characteristics that are not visibly detectable. By researching this topic I thought of a few applications for technologies based on the Collembola’s spring mechanisms. Click mechanisms at the scale of a springtail’s springing mechanism could possibly aid stent design or inspire development of other deployable structures that snap open or closed based on certain environmental conditions. Maybe small springing mechanisms can be incorporated in groups and serve as strain sensors on bigger structures. And who wouldn’t welcome millimeter-sized robots that can perform in a futuristic “flea circus”? PLEASE LEAVE A COMMENT (OR CONTACT ME VIA TWITTER @COTESIA1) IF YOU HAVE ANY NOVEL IDEAS FOR A SPRINGTAIL INSPIRED JUMPING MECHANISM. JUST IMAGINE. (1) B. Ruhfus and D. Zinkler, Investigations on the sources utilized for the energy supply fueling the jump of springtails, Journal of Insect Physiology, Volume 41, Issue 4, April 1995, Pages 297-301, ISSN 0022-1910, 10.1016/0022-1910(94)00122-W.
Class activity developed by the late Charles Drewes (EEOB Dept at Iowa State University) for the Invertebrate LocOlympics. *My friends can attest to the fact that I have been talking for a long, long time about starting a blog about how we can use insects to inspire new technologies. One of these friends who had to humor me for so long is Nils Cordes. I met Nils when he was a student at Illinois, but he is currently finishing up his PhD at the University of Bielefeld in Germany. Nils is a great scientist, and a great communicator. He is also a wonderful artist. He offered, those many years ago, to create some art work for this (then still imaginary) blog that I was going to use to communicate my love of insects. And he did…behold the best blog banner EVAH! The many feathers in all my caps. Last week I was reminded multiple times of my love of hats. I don’t wear them too often myself, due to the large cranium I prefer not to boast about. But I do like to try on hats, and I wonder why we do not wear them more often. Queen Beatrix. Den Haag, 18 september 2012:© ANP. Check out all those feathers in her hat. But I wasn’t sad too long, since I am really a “Republikein” at heart. And apparently I have, figuratively, quite an extensive hat collection myself – even some with fancy feathers in them. Let me explain. The second reminder of my love of hats happened during the #Venn13 session at the ScienceOnline conference I attended this week. The session was organized/moderated by Ed Yong (@edyong209) and Jonathan Eisen (@phylogenomics). The whole session is storified here. Between the two of them Ed and Jonathan wear many hats: scientist, journalist, open-access promoter, administrator, writer, teacher, public information officer, etc. They challenged the attendees of the session to think about the many hats they themselves they wear. I may not don as many hats as Jonathan, even though we are both at a public university (JE at UC Davis, myself at University of Illinois), but I can show you of a couple of stylish hats I have accumulated for myself: entomologist/researcher/advisor, instructor/instructional designer, Entomological Society mover-and-shaker. And all this while my official title is “Research Scientist”. In recent years I have also become a promoter of Bioinspiration (or Biomimicry) within the Department of Entomology and the School of Integrative Biology, but also beyond my home department into the College of Engineering and the College of Education. This means that my hats have collected quite a bit of plumage. The point is probably best made by leaving the hat-analogy for a little while and to make the point by describing three completely different scientific conferences I have attended in the past six months. In August 2012 I attended a summit in Zurich, Switzerland, that was organized by the Foundation For Global Sustainability and SwissCleanTech. These two entities brought together people from all over Europe who were interested in the topic of Biomimicry. The summit featured workshop sessions led by Dayna Baumeister who is one of the founders of Biomimicry 3.8. I have been interested in the Biomimicry Institute for quite a few years now and it was a pleasure to meet Dayna and talk to her. 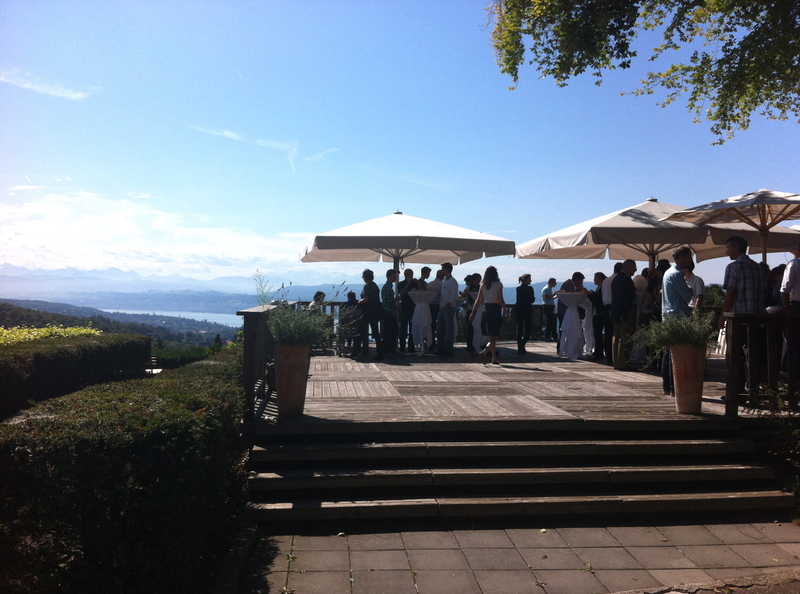 Participants of the Biomimicry Workshop socializing while enjoying the view of Lake Zurich and the Alps beyond. The conference was mainly about how to innovate with biomimicry principles, and what tools are available to us to accomplish this. The speakers included scientists I greatly admire such as: Thomas Speck and André Studart. I hope to blog about their work soon. The workshop/conference was special because I came in contact with not only biologists and engineers who feel strongly about bioinspiration, but also with the people who are working on a more sustainable future; policy makers and business leaders, for the good of the environment but also because of the company’s bottom line. It was great to feel that my input as a researcher and instructor was appreciated and I myself learned a lot from people I rarely come in contact with. 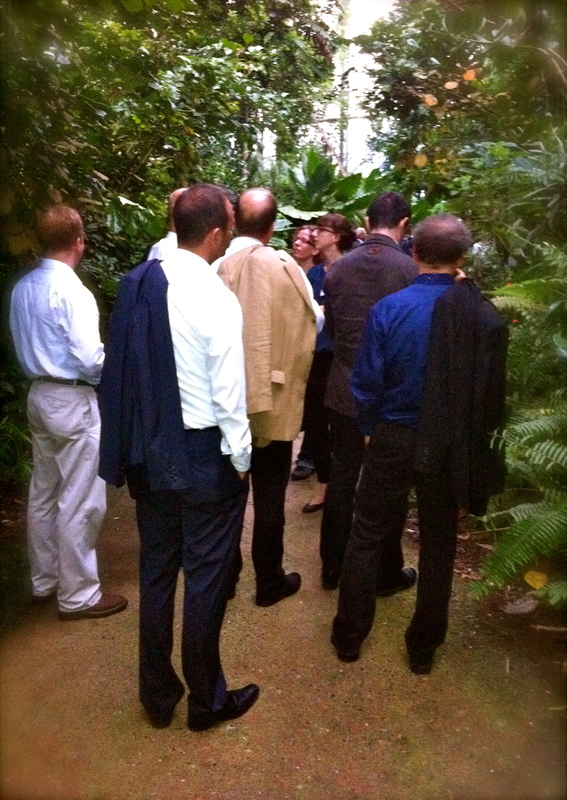 During the Biomimicry Conference we went on tours through the Zurich Zoo. One night we had dinner in the Zoo’s Masoala Rainforest exhibit. Can you pick out the business men? As someone who was promoting insects as inspiration for innovation I wore my “researcher in entomology” and “instructor” hats at this conference, but I also tried to imagine walking in the shoes of an engineer, a sustainability innovator, a biomimicry practicioner, and a business person. I definitely felt most comfortable wearing the entomologist’s cap, and learned to appreciate this old hat even more as I convinced others that nature in general, and insect in particular, need more study for the good of our own society. The future focus of this blog. 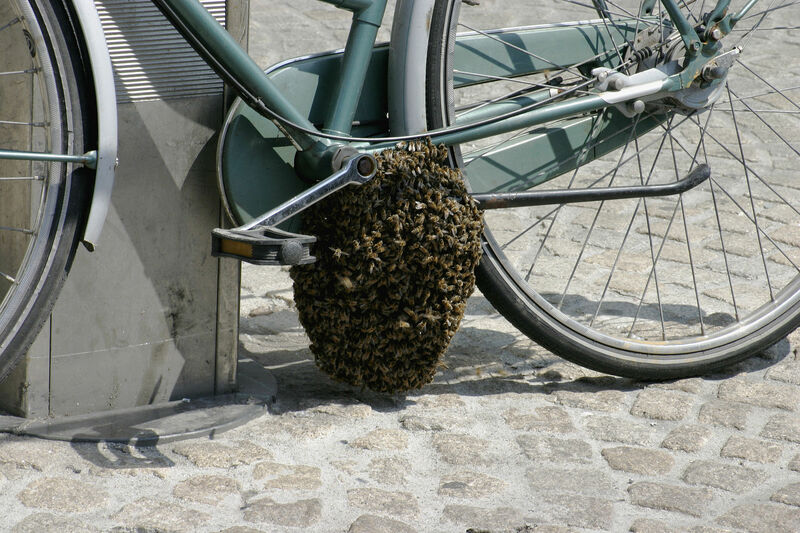 I have been a member of the premier insect-society (ha! 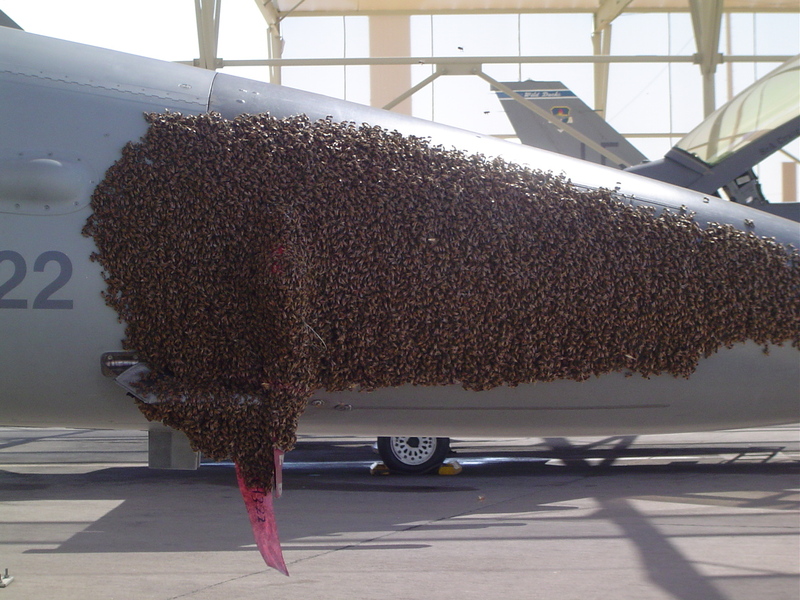 ), the Entomological Society of America (ESA), for almost 20 years. First as a grad student, then as a post-doc, and now as a research scientist (=faculty-let). Through the years I have served at different levels of leadership, for instance as the President of the Physiology, Biochemistry and Toxicology section during a major ESA reorganization. Currently I am on the Program Committee, which is a 3 year term. At the Annual Meeting in Knoxville this past year it was my task to organize the large student competition – which means keeping hundreds of presenting-students and judging-judges happy and on time. Luckily I get to do this with a co-chair, my good friend Luis Canas from Ohio State University. Luis and I were asked to be Program co-chairs because the current ESA President, Rob Wiedenmann (my former PhD advisor) wants to put forth an international face. So here we are, Luis from El Salvador, myself from the Netherlands, representing the rest of the world as the face of a very, very American scientific society. At the meeting in Knoxville I gave a talk about BioInspiration as part of a bitter-sweet symposium. 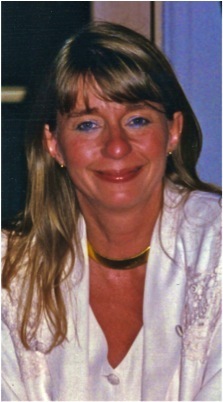 The symposium was in memory of my graduate (MS) advisor Dr. Nancy Beckage who passed away earlier in 2012. Dr. Beckage was a professor of Entomology, Cell Biology and Neuroscience at the University of California at Riverside. She studied the physiological responses of insects to immune challenges such as pathogens and parasitoids. She did important research and was a great writer. Her review articles are wonderful introductions to immunology and parasitology. In fact, she once considered a career in science journalism. My friend Nancy Beckage at my wedding in 1995. She looks so incredibly happy here, probably because she received such great pleasure from the happiness of others. 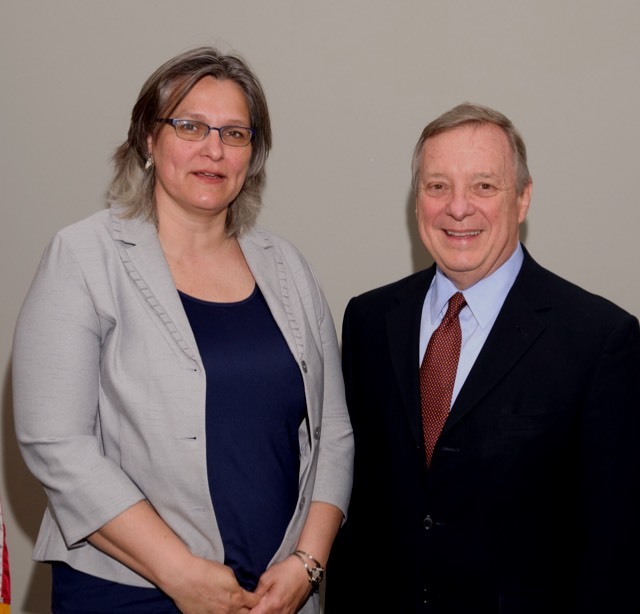 Nancy was a mentor, a friend, and a role-model for me. But also a cautionary tale. I feel that Nancy did not get the support that she needed at important times in her life, in large part because she would never ever ask for help as she was a very private person. Mental illness in academia is not uncommon, but for women getting support is often rather difficult, especially for a woman in a discipline/department where women are underrepresented. Again, this is a topic for a blog post I hope to come back to in the future. During my talk at ESA I made the case that Nancy had a great love for insects. She also appreciated that insect parasitoids can teach a lot about animal physiology. This type of thinking was passed on to me and now I have come to appreciate the diversity of insects immensely. Insects have adapted to almost all of earth’s habitats, except maybe the open ocean. Insects have a lot to teach us as long as we open ourselves to creative thinking and let ourselves be inspired to innovate. Participating in this symposium was difficult, there were lots of tears and regrets, but also great camaraderie among those who Nancy influenced during her life. She inspired me. She still influences my research, my teaching, and most importantly, she influences my interactions with those around me since she taught me that nothing is more important than meaningful personal relationships. So what hats was I wearing at the ESA Annual Meeting? Definitely the “Entomology researcher” hat (my grad student Gwyn Puckett presented her work at ESA), but also the “Service” hat with the fancy feathers bestowed to a promoter of curiosity, respect, generosity, acceptance, compassion in entomology and academia – because if we do not adhere to these principles then there will be devastating consequences to our (or our colleagues) personal lives, but also to science research and understanding. Again, I definitely felt most comfortable wearing the hat of an “Entomologist”, the one promoting insects as inspiration for learning about science and for innovation. At this ESA meeting the “Service” hat with all its feathers (=responsibilities) weighed heavy on me. I had to try to put myself in the shoes of other ESA members, many of whom are in a field far outside of insect physiology or bioinspiration, in the shoes of students, in the shoes of ESA staff and leadership, in the shoes of those women who came before me and who’s legacy I proudly carry on my shoulders. And now for my third meeting in 6 months. For the second year in a row I attended the Science Online meeting in Raleigh, NC. I cannot say enough about this un-conference, the organizers, the attendees. It is absolutely my favorite work-related event of the year. For a taste of what the conference is like just visit this link and start clicking through all the awesomeness. It was at this conference that I was first reminded of all the hats I wear, and that each hat is adorned with many feathers. The hats that brought with me to Raleigh is the science instructor hat. Next to my bread&butter Insect Physiology graduate course I teach a few courses in the Online Master of Science in Teaching of Biological Science Program at the University of Illinois (a team effort with @sciencegoddess). In all the courses that I teach for this program insects are heavily featured, because there so many aspects of their biology are interesting and important. The students in the courses are themselves high-school teachers and they are very eager to learn the latest about biology and how to teach it. The Science Online conference put me in contact with journalists and writers who help me explain the content of my courses – which is then passed on to the high-school students. In addition, I met high school teachers who are very active online and serve as teachers for me too (@lalsox, @2footgiraffe, @paleoromano etc.). 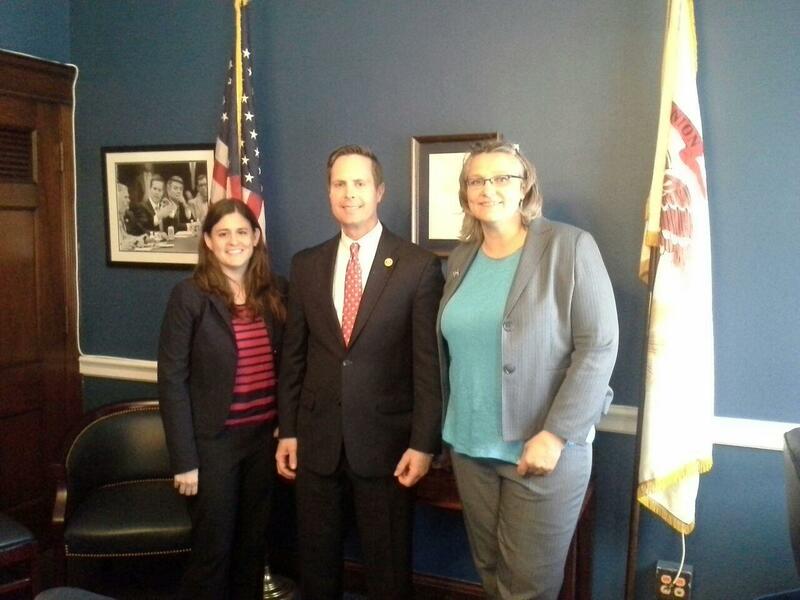 All three use social media in their science courses, something I am trying to encourage my students to do too. E.O. Wilson’s Global Town Hall moderated by NRC Director Meg Lowman. At ScienceOnline I did not really unpack my “Entomology/researcher” hat (except during Friday dinner). But I did juggle both my “Instructor” hat and my “Service/Outreach” hat. It was at first a little uncomfortable since it put me, as a communicator, front and center, and not my cool study animals. As was the case last year, the conference did force me to imagine myself in the shoes of journalists, writers and bloggers who are trying to work with scientists and/or the public to make science accessible to many different types of people. I have to thank all the attendees at all the conferences covered here for inspiring me, for giving me the confidence to wear all my hats and to try out new things so I can add more feathers to my caps. But now that I see all these ornate hats all lined up in front of me I wonder if it would be wise to invest in a Collecting Vest. This garment is one of those accessories worn by only the most serious of entomologists. Surely investing in a vest like the one E.O. Wilson often wears can help me do my job even better. All my research, teaching, and outreach tricks would be easily accessible, and the vest, together with a “pooter“, would make me look professional in whatever setting I find myself. Then again, there is a thin line between looking professional and looking goofy. It might also be wise to invest time in revising my job description. A special thanks to the Scio13 attendees for helping me celebrate Queen Beatrix’ birthday (January 31st)…which happens to be my birthday too (and I covet her hats). Thanks to all of you I have renewed faith in my abilities…look… I finished my first real blog post 😉 (A blog post which is not really about the topic that will be the focus of this blog…but oh well, baby steps).